A native of Beaufort, South Carolina, Robert Smalls was born into slavery. Through acts of remarkable courage and determination, he became the first African American hero of the Civil War and one of the most influential African American politicians in South Carolina history. During the Civil War, Smalls was conscripted into service aboard the CSS Planter, an ammunitions transport ship with a black crew. He freed himself, the ship’s crew and their families from slavery on May 13, 1862, by dressing in a ship captain’s uniform and commandeering the CSS Planter in the Charleston Harbor. He sailed the ship from Confederate-controlled waters to the U.S. blockade. 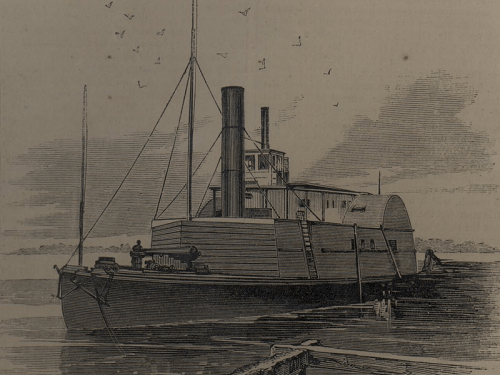 The CSS Planter that Robert Smalls hijacked from the Confederates. Smalls waved a surrender flag made from a white bed sheet as they headed straight for a Union Navy fleet. Smalls surrendered the ship and her cargo to Captain John Frederick Nickels of the USS Onward. Smalls’ escape from the South and slavery had succeeded. Smalls quickly became known in the North as an American hero for his daring exploit. Newspapers reported his actions, and the U.S. Congress passed a bill awarding Smalls and his crewmen prize money for the CSS Planter. Smalls’ portion was $1,500 (equivalent to $35,985 today). 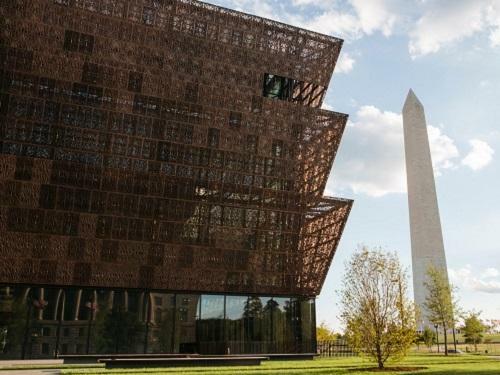 Smalls went to Washington, D.C. in August 1862 to persuade President Lincoln and Secretary of War Edwin Stanton to permit African American men to fight for the Union. Stanton signed an order permitting up to 5,000 African Americans to enlist in the Union Forces at Port Royal. Smalls became a representative on behalf of the African Americans serving in the Union Forces. He also used his intimate knowledge of the South Carolina Sea Islands to advance the Union military campaign by piloting the CSS Planter and later the Keokuk in nearly 17 engagements. After the Civil War, Smalls received a commission as Brigadier General of the South Carolina militia. He returned to Beaufort and purchased the McKee house at 511 Prince Street where he and his mother had been enslaved. He became a politician, winning election as a Republican to the South Carolina State Legislature and later the United States House of Representatives during the Reconstruction era. As a politician, Smalls authored state legislation for South Carolina to have the first free and compulsory public school system in the United States. He was one of the founders of the Beaufort County, South Carolina Republican Club. 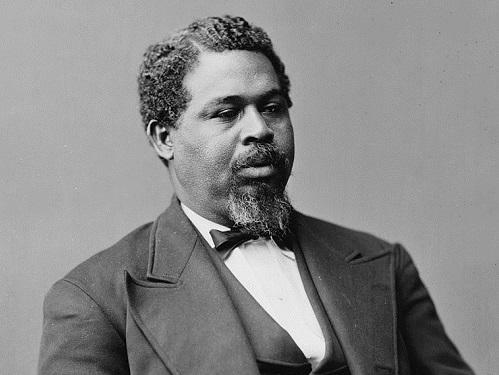 Today, there is a statue of Robert Smalls at the National Museum of African American History in Washington, D.C. as well as a traveling exhibition, “The Life and Times of Congressman Robert Smalls,” appearing at museums, universities, and historical sites around the country. Join us for Spinnaker Resorts Lowcountry Excursion to adventure through Beaufort and explore the rich history of Robert Smalls’ hometown. Upon request, your tour guide will drive by Robert Smalls’ home. This historic Beaufort styled house was built in 1843 and designated a National Historic Landmark in 1974. Robert Smalls’ home in Beaufort, SC. For more information on Robert Smalls, I urge you to attend “The Life and Times of Robert Smalls” presented by Donald Sweeper on Friday, February 17th at 2 p.m. at Coligny Theatre, or 6 p.m. at Tabernacle Baptist Church in Beaufort. As a Beaufort native, educator, and storyteller Donald Sweeper brings Robert Smalls to life in this stage reenactment as he tells the story of commandeering the CSS Planter on the early morning of May 13, 1862. This program is offered in partnership with the Beaufort County Historical Society, Tabernacle Baptist Church, Mitchelville Preservation Project, and the Coastal Discovery Museum. Visit the website for more information.